When building bigger ERDs you may want to quickly differentiate tables from outside module and database (documentation). You can use colors for this. You can change default colors by changing RGB codes in the script. There's also more advanced technique - you could set a specific color for each of your modules using custom fields introduced in version 6.0. 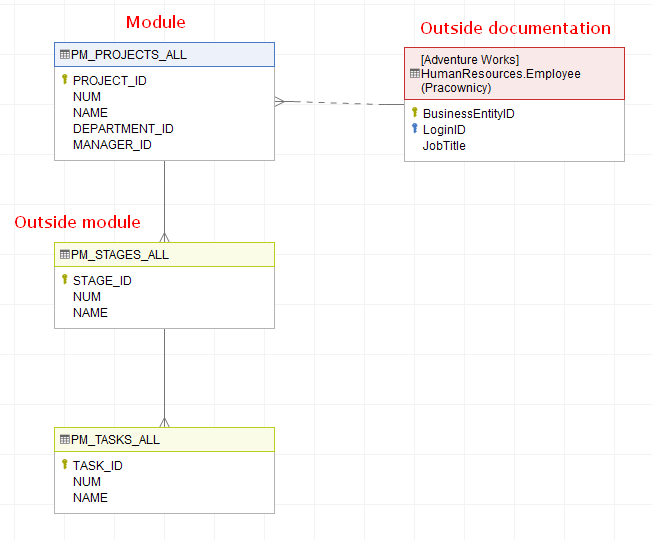 Do note that if table is in more than one module, color of the older module will be chosen.